Ashwin Mahesh @ashwinmahesh - @kharesm @JP_LOKSATTA the 'policy' decision is not really taken on the basis of policy. Ashwin Mahesh @ashwinmahesh - @kharesm @JP_LOKSATTA The 'fiscal prudence' argument only makes sense if prudence is generally woven into many other decisions also. Ashwin Mahesh @ashwinmahesh - The 'fiscal prudence' argument only makes sense if prudence is generally woven into many other decisions also. Else, just a vacuous claim. Ashwin Mahesh @ashwinmahesh - #loksattalive There is a tendency for the debate on 'F'DI to turn into a debate on organised retail itself. These are 2 different things. Ashwin Mahesh @ashwinmahesh - #loksattalive Indian citizens and Indian-owned companies can already invest in the retail industry, no restrictions. And many already do. Ashwin Mahesh @ashwinmahesh - #loksattalive Now the question is : should others, i.e. not Indians, also be 'allowed' to invest in the retail sector? Ashwin Mahesh @ashwinmahesh - #loksattalive 'Multi-brand' retail is a vague distinction. Govt has confused things unnecessarily by this term. Ashwin Mahesh @ashwinmahesh - #loksattalive Ikea is as multi-brand as Walmart; whether one organises and integrates producers or suppliers is the only difference. Aravind @arav_m - #loksattalive LSP stand on supporting fuel $ hike as inevitable seems misplaced as oil cos taxed high & inefficient schemes take big share? Ashwin Mahesh @ashwinmahesh - @arav_m #loksattalive fully agree ... that's why I said this is as much a 'foreign' affairs issue as it is an economic one. Ashwin Mahesh @ashwinmahesh - @arav_m #loksattalive fiscal discipline is not part of the overall policy framework of govt. They trot it out whenever it suits them. Mahesh @MaheshMrcool - #loksattalive if role of bigger shops r needed why cant TATA, GMR and Birla companies step in like Reliance. Ashwin Mahesh @ashwinmahesh - #loksattalive International relations are more about 'negotiation' than about economic rationale or common sense. Ashwin Mahesh @ashwinmahesh - #loksattalive Countries do what is best for themselves, usually. But some nations know how to position their view as 'good for everyone! Ashwin Mahesh @ashwinmahesh - #loksattalive Aviation FDT was permitted only by non-airlines until now - that tells how little common sense there is in 'foreign' policy. Ashwin Mahesh @ashwinmahesh - @JhunjhunwalaFC #loksattalive Some Indian co.s can't really hack it; they've briefly cornered certain value. Their only 'ROI' is by selling. Jayaprakash Narayan @JP_LOKSATTA - #loksattalive Real benefit is in stimulating post harvest technology. Ashwin Mahesh @ashwinmahesh - #loksattalive We must also ensure 'national interest' represented by Centre is truly the nation's interest, not just some crony capitalism. Ashwin Mahesh @ashwinmahesh - #loksattalive At state level, one source of anger is Central government doesn't really 'consult' the states on a lot of trade matters. Ashwin Mahesh @ashwinmahesh - #loksattalive Blame for this lies with state MPs - what are they doing in Delhi? Especially Rajya Sabha MPs, who represent their states? Ashwin Mahesh @ashwinmahesh - @PollTics #loksattalive most likely :) But we needn't worry too much. Even the support is based partly on realpolitik !! Sanjay Jhunjhunwala @PollTics - @JP_LOKSATTA #loksattalive is the opposition to FDI in retail based on real politic rather than any concern for small business owners? Jayaprakash Narayan @JP_LOKSATTA - #loksattalive But failure to act in one area is no ground for inaction else where. Ashwin Mahesh @ashwinmahesh - @rubenmasc #loksattalive has no capacity to 'invest' in anything. Real investments require more than just money. Amit Choudary @Amitjan - #loksattalive : Being concerned about Middlemen, What about farmers? even today most of them get underpaid, or their produce get wasted . Ashwin Mahesh @ashwinmahesh - @RamSasidhar #loksattalive all over the world the std approach is to set up preferential access to small businesses, in the same channels. Ram Sasidhar @RamSasidhar - @ashwinmahesh Thank You! Sanjay Jhunjhunwala @PollTics - @ashwinmahesh #loksattalive trying to act as the devil's advocate becuase the debate is heavily swayed towards pro #FDI ers. 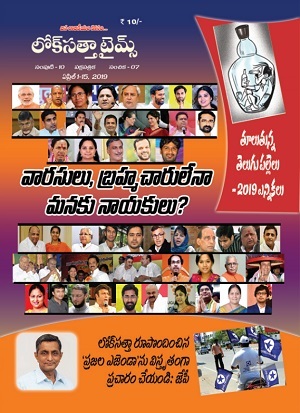 Ashwin Mahesh @ashwinmahesh - @PollTics @JP_LOKSATTA it should not be the ONLY medium, but no harm if it is discussed here also. Sanjay Jhunjhunwala @PollTics - @JP_LOKSATTA #loksattalive critics would argue that internet is not the right medium to discuss an issue which concerns common man. Jayaprakash Narayan @JP_LOKSATTA - #loksattalive FDI also reduces current account deficit. Rupee now is under pressure and trade deficit is 4.4% of GDP. Mahesh @MaheshMrcool - @ashwinmahesh #loksattalive Now we r thinking on FDI. I want to know what Gov had achieved by nuclear Bill. Ashwin Mahesh @ashwinmahesh - @MaheshMrcool #loksattalive risks and opportunities go hand in hand. We also missed the bus on development. Many others are far ahead. Jayaprakash Narayan @JP_LOKSATTA - #loksattalive if our credit rating is lowered because of inaction interest burden will go up instantly. we have to act now. Ashwin Mahesh @ashwinmahesh - @vnands #loksattalive depends on a lot of things. But we should ask whether the tide will lift for all. vijayanand samudrala @vnands - #loksattalive - will FDI create distributed wealth or concentrated wealth?? Ashwin Mahesh @ashwinmahesh - @ramramdas #loksattalive yes, actual investment will be measured. Nothing new will happen right away, except in airlines. Ashwin Mahesh @ashwinmahesh - #loksattalive Ony growth and jobs will end poverty. We can't wish away this truth. Need to ask, therefore: what will create these? Ashwin Mahesh @ashwinmahesh - @worldofdilbar #loksattalive we wont have big retail without the backend. Out of their own self-interest they will do it. Ashwin Mahesh @ashwinmahesh - @arav_m #loksattalive unfortunate truth is that these things combine politics and economics. Purely one alone is not an option. Ashwin Mahesh @ashwinmahesh - @jvsk3 #loksattalive you're right. That's why we need to get both politics and economics right. j venkatesh @jvsk3 - #loksattalive When V have a very faulty system Governing our Country is it right 2 open our Mkts 2 Notorious Retail Giants? Ashwin Mahesh @ashwinmahesh - @arav_m #loksattalive notice how when they raise prices, they don't adjust tax rates? They can easily keep the tax as a number, not a %age. Ashwin Mahesh @ashwinmahesh - @pradeepboppidi #loksattalive certainly, especially in infra. If we are smart, we should first 'clear' the infra proposals before others. Ashwin Mahesh @ashwinmahesh - @vnands #loksattalive not strictly true - auto sector foreign-dominated, but Indian-produced. Telecom relies lot on foreign IT and hardware. vijayanand samudrala @vnands - #loksattalive large Indian businesses enjoyed success in auto, telecom and oil sectors without global partnerships...why not in retail? Ashwin Mahesh @ashwinmahesh - @indirakoneru #loksattalive notice that in countries with large retail, farmers are among the most pampered !! Ashwin Mahesh @ashwinmahesh - @karancspeaks #loksattalive in economic systems, we must not treat diligent and indifferent people the same. Ashwin Mahesh @ashwinmahesh - @karancspeaks #loksattalive in my judgment, yes. I think there is genuine opportunity today for those who WANT to move up. Ashwin Mahesh @ashwinmahesh - @karancspeaks #loksattalive - let's explore this. Why is 'small' better than 'big'? Ashwin Mahesh @ashwinmahesh - @phani_alla1988 #loksattalive There are countries where even W has failed, while smaller retail has thrived. Big is not automatically enuf. Karan @karancspeaks - @ashwinmahesh Exactly. The other things you said should be implemented first and then FDI in retail.Otherwise this will lead to oligopoly. Ashwin Mahesh @ashwinmahesh - @karancspeaks #loksattalive there is no such thing as the only solution. It is also an option. There are many other things needed. Ashwin Mahesh @ashwinmahesh - @Ganesh_Khare #loksattalive in peri urban areas farmers are quitting farming because the land is worth more for other uses. Ashwin Mahesh @ashwinmahesh - @Ganesh_Khare #loksattalive if the logistics infra comes up, then there will be more sources of 'local' jobs. Ganesh Khare @Ganesh_Khare - #loksattalive. #fb apart from technical knowhow & some more money In mkt, hw wil our econmony bnefit? Ashwin Mahesh @ashwinmahesh - #loksattalive Subsidy revisions in diesel and LPG - the step is right one to take, but the logic is still deeply unconnected from reality. Ashwin Mahesh @ashwinmahesh - @cloudsaaspaas #loksattalive partly because partial steps are not enough in industries that make sense only in totality. Ashwin Mahesh @ashwinmahesh - @abdulazeez1984 #loksattalive have been advising JnNURM on this. Second version likely to be more sensible than first. Ashwin Mahesh @ashwinmahesh - @jai1900 #loksattalive there is a failure of politics, no doubt. 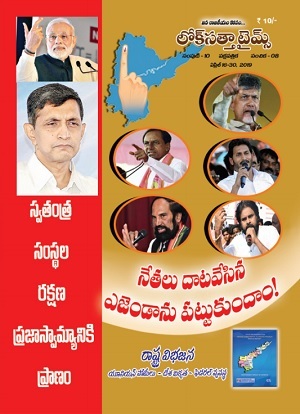 Loksatta has been saying we cant crack this without political change too. Ashwin Mahesh @ashwinmahesh - @jai1900 #loksattalive that was partly a 'company' issue, not only a matter of international trade/finance. Ashwin Mahesh @ashwinmahesh - @PollTics #loksattalive I am not that particular about the source of investment. I think we should ask the question more generally. Ashwin Mahesh @ashwinmahesh - @cloudsaaspaas @JP_LOKSATTA sure ... by Walmart itself :) #loksattalive studies are not all objective. Cloud Boy @cloudsaaspaas - @JP_LOKSATTA #loksattalive Is there any study showing that walmarts have done good to the health of people or economy? Amit Choudary @Amitjan - @ashwinkumar#loksattalive : any comment over exit models if required for future. Ashwin Mahesh @ashwinmahesh - @bhargo_10 #loksattalive 'Not Indian' is not same as 'not good for India'. Indian firms trade globally without undermining other nations. Ashwin Mahesh @ashwinmahesh - @INS_animesh #loksattalive coops are not prohibited, anyone can set them up. What we should not do is say, nothing else is allowed'. Animesh Sharma @INS_animesh - #loksattalive @JP_LOKSATTA Why organic cooperative approach for retail(like amul) is not better then FDI in retail? Jayaprakash Narayan @JP_LOKSATTA - #loksattalive FDI, FII & remittances are vital to bridge gap in short term. FII brings hot money. FDI is safer and brings jobs & growth. Ashwin Mahesh @ashwinmahesh - @cloudsaaspaas #loksattalive not a straight comparison. The Indian mkt you refer to includes all indirect jobs too. Ashwin Mahesh @ashwinmahesh - #loksattalive trick is create a system in which big and small businesses collaborate, rather that tackling the same mkt goals competing. Loksatta Supporter @supportloksatta - @arav_m @ashwinmahesh sourcing conditions exist. so retailers will be forced to improve the competitiveness of indian farmer. Ashwin Mahesh @ashwinmahesh - @arav_m #loksattalive they could even self-organise. Problem is lack of 'associational relationships'. Mai baap sarkar makes things worse. Ashwin Mahesh @ashwinmahesh - @praveenrangu9 #loksattalive - a lot of goods are only profitable to be sold from local sources. Plus, Indian SSI shd also get stronger. Vinuth M. Madinur @Gubbi - @ashwinmahesh #loksattalive Now that FDI is here, we need to have structures in place rather have anarchy and "anything goes" system. Ashwin Mahesh @ashwinmahesh - @Gubbi #loksattalive I think that's already the case !! As I said, we need political and economic mgt to go together. Vinuth M. Madinur @Gubbi - #loksattalive FDI also means entry of big players into farming and land owning. There will be larger farmlands and farmers as employees. Ashwin Mahesh @ashwinmahesh - @Vidyut #loksattalive Being 'Indian' is not a license to exploit other Indians. Ashwin Mahesh @ashwinmahesh - @avinash_121 @Vidyut take those up in WTO. Ashwin Mahesh @ashwinmahesh - @GVRDon #loksattalive fuel prices would not cause so much anxiety if in parallel we have a plan to develop alternates at lower cost. Raghava Rohit @GVRDon - @JP_LOKSATTA #loksattalive other nations are having higher petrol and diesel prices, there isn't much uproar but here there is,clarify? Ashwin Mahesh @ashwinmahesh - @indirakoneru #loksattalive it can, but not on its own. other steps also needed. Ashwin Mahesh @ashwinmahesh - @cloudsaaspaas #loksattalive we must be careful not to fall into cyclical traps. Somewhere we have to begin. Ashwin Mahesh @ashwinmahesh - @cloudsaaspaas #loksattalive 'before' in unnecessary. 'Together' is good enough. Ashwin Mahesh @ashwinmahesh - @cloudsaaspaas #loksattalive I don't want to equate governance failure with economic policy argument. That has to be tackled too. Ashwin Mahesh @ashwinmahesh - @cloudsaaspaas #loksattalive I see both as making progress. Last week's Parliament committee mtg on Lokap was encouraging. Nitin Pai @acorn - @ashwinmahesh Well, they are. But I am still not sure whether the online audience actually votes. Nitin Pai @acorn - Now reading Stanislaw Lem's "Solaris" on Kindle. Memories of having read it before. Ashwin Mahesh @ashwinmahesh - @GVRDon #loksattalive that risk is always there. Outcomes depend on multiple things happening together. We must be vigilant. Raghava Rohit @GVRDon - @ashwinmahesh #loksattalive Whatever policies govt has launched there has been no other parallel alternate to support it? agree? Ashwin Mahesh @ashwinmahesh - @karancspeaks #loksattalive imp to have a debate between 'producers' and 'consumers' benefiting from diff policies. Ashwin Mahesh @ashwinmahesh - @karancspeaks why not? As I said, I recognise the 'self interest' arguments here. We need to navigate both econ and politics. Ashwin Mahesh @ashwinmahesh - @karancspeaks #loksattalive what do you mean by 'level' field for producers? Ashwin Mahesh @ashwinmahesh - #loksattalive Nation needs political leaders who can manage the economic conversations/negotiations too. Ashwin Mahesh @ashwinmahesh - #loksattalive thank you everyone who participated this evening. Thanks especially to those who disagreed and raised alternate views. Ashwin Mahesh @ashwinmahesh - #loksattalive public conversations are an important part of democracy. Encourage ALL politicians to do same. Loksatta will lead by example ! Ashwin Mahesh @ashwinmahesh - @sonaliranade agree. And one more thing ... we now understand that Hyundai too is 'our' manufacturer. Evolution of economic clarity. Ashwin Mahesh @ashwinmahesh - #loksattalive ... in politics, not always needed to agree, or 'convince' the others. What is absolutely needed, however, is public debate. Shuvankar Mukherjee @shuvankr - @ashwinmahesh Very true! what are the problem would face after allowing FDI in Inda?